WhatsApp has become more and more popular, so after you update to iOS 9, have you ever lost some WhatsApp messages after update to iOS 9? I received an email from an iPhone user that he lost parts of WhatsApp messages and he needed those WhatsApp messages back. Do you have any good tips or suggestions to help his recover lost WhatsApp messages? 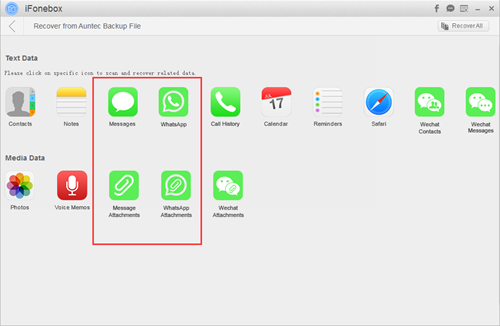 If you have an iTunes backup for your lost WhatsApp messages before update to iOS 9, then just follow steps here. Make sure you have installed the latest version of iTunes. Firstly, run iTunes and connect your iPhone to the computer. Then you can choose your device to enter the main interface. Next, just click Restore Backup button in the middle part in your information page. After all are done, the previous backup has been restored to your iPhone. This may erase some existing data on your iPhone or iPad. If you prefer to recover lost WhatsApp messages from iCloud backup, you can follow here. Firstly, you have to reset your iPhone. Go to Settings > General > Reset > Erase all content and settings. Then, the system will ask you to restore from iCloud backup once you have erased your iPhone. This method is also easy to erase all data from your iPhone. When you don’t want to erase existing data on your iPhone and you need to selectively restore lost WhatsApp messages from backup, the third party software like iFonebox is just the best choice for you. As is known that iFonebox can not only recover deleted data like contacts, WhatsApp messages, Wechat messages, notes and more from iPhone/iPad/iPod touch, but selectively extract and restore lost data from your iTunes or iCloud backup. Pretty professional. Just go to download and install iFonebox free version: Win and Mac. 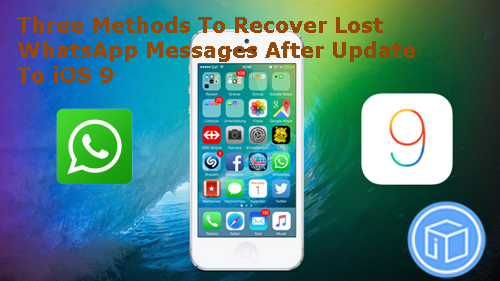 Then, follow Restore Lost WhatsApp Messages From iTunes Or iCloud Backup to finish the whole process. This entry was posted in iOS 9, iPhone and tagged methods to recover deleted whatsapp messages, recover lost whatsapp messages when update to ios 9 by IosdroneD. Bookmark the permalink.